I have a field bred english springer spaniel pup. I have a 32" long plastic kennel I use for travel and hunting leftover from my prior springer. My life would be a lot easier if this crate was 30" but it seems I can buy 32" and 28" kennels, but nothing in between. Will 28" be too small when the dog is full grown? Any kennel recommendations for a springer? Male or female? How big do you expect it to get? Intermediate Ruffland is 30" long and would be plenty big for a low 40s dog. 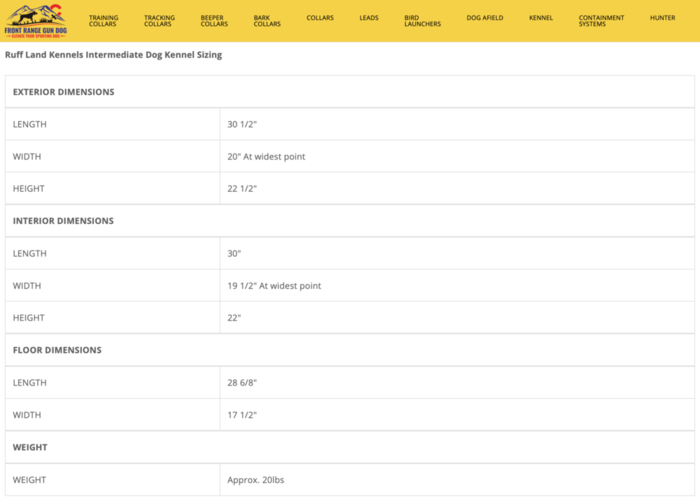 I have a 28" petmate skykennel coming. The only plastic crate I could find at 30" was the RuffTough as you suggest, other brands go in 4" increments. Too rich for my blood. I'll see how I do with the 28" as the dog grows. It would strictly be for car travel, where a smaller crate is safer, I think. I have a Medium size Petmate, I think is 28”. My 50 lb setter just fits. He’s happy on 12 hour trips to Maine and any place between. Probobly not to animal rights standards, but as you said I feel it is safer and he doesn’t complain. 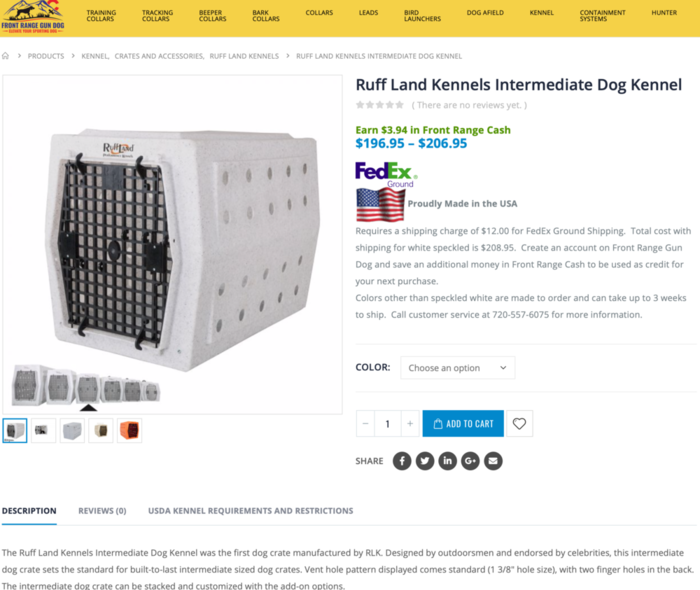 The Ruff Land Intermediate Kennel is Proudly Made in The USA and is a great investment. 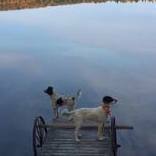 Exterior length is 30 1/2" and will fit larger dogs for down the road... We use them for our GSPs and Pointers. Not sure I would consider a kennel as an investment. The only thing not listed in the spec sheet is the interest accrued on said kennel investment. I have a cheap a$$ Petmate for 20 years and still going strong. Not sure what more I could expect for five times the initial investment. And no I do not have a Yeti dog dish. And no I do not have a Yeti dog dish.